For our first immersive UX project, DESIGNATION challenged our team of three designers to design a digital platform that instills trust, builds relationships, and fosters communication between parents and teachers of middle school students. Research has consistently shown that parental involvement is key to student academic achievement, but building and maintaining relationships is increasingly difficult for both teachers and parents. This is especially true during the middle school years where teachers report a steep decline in parental involvement. Why does parental involvement decrease dramatically during the middle school years? A study that strongly influenced our second round of research was Parental Involvement In Middle Schools: Meta-Analytic Study of Strategies that Promote Achievement. The main takeaway from the study is that an involvement style termed academic socialization had the highest correlation to academic achievement for middle school students. Academic Socialization: A parental involvement style that builds kid’s decision making and problem solving skills and helps them understand the connection between school work and future goals. What tools exist in the market? We wanted to know what tools parents and teachers are currently using to communicate. Additionally, we were curious what those tools did well and where there may be gaps in functionality. 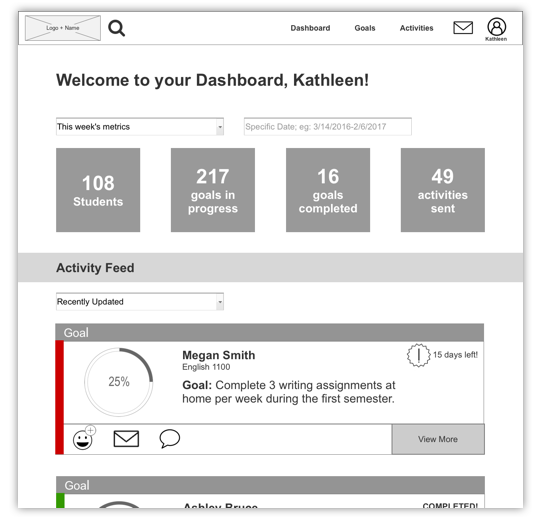 We found almost all teachers used a LMS (Learning Management Platform), like Blackboard, for grading and syllabus planning. While these LMS’s offered some basic one-way communication, other tools offered more comprehensive two-way communication. By comparing the more robust communication tools using a competitive analysis, we were able to narrow the field down to three top potential competitors. The top three competitors resulting from our competitive analysis were Class Messenger, Class Dojo, and Remind. 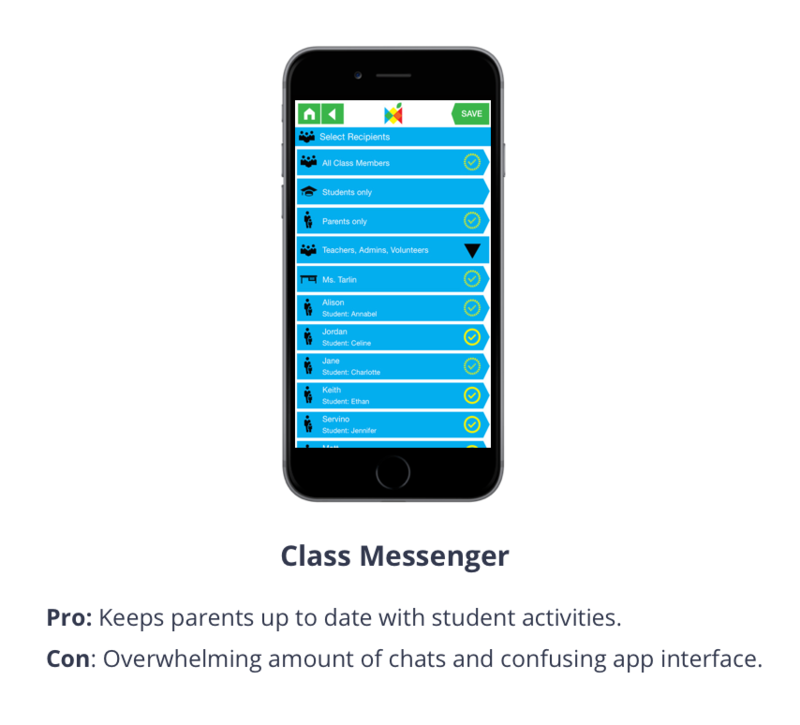 The biggest complaint users have with Class Messenger is there's an overwhelming amount of messages and alerts for parents. 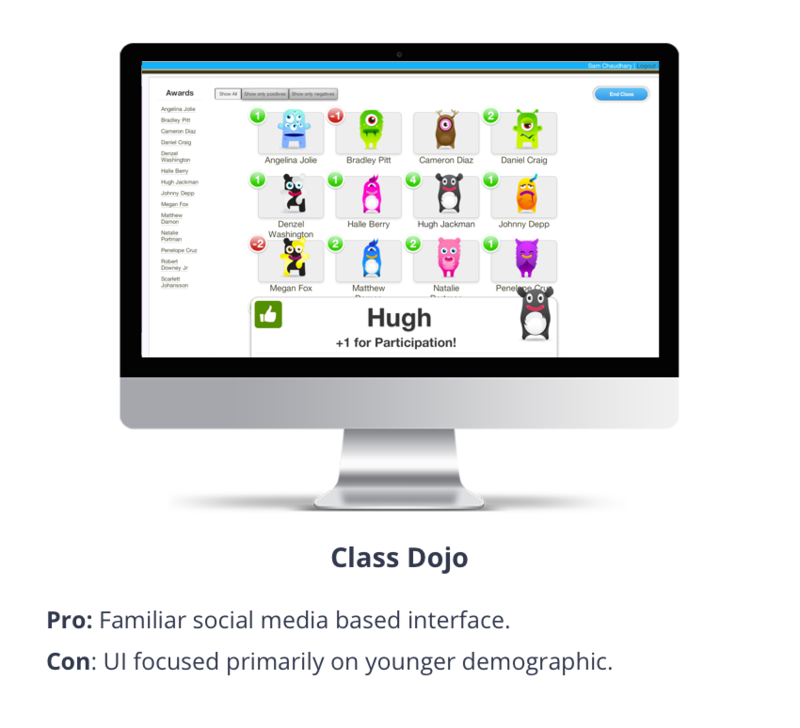 While Class Dojo is geared towards elementary school students and the interface feels young for middle schoolers. Due to its market size and functionality, we determined Remind was our strongest potential competitor. 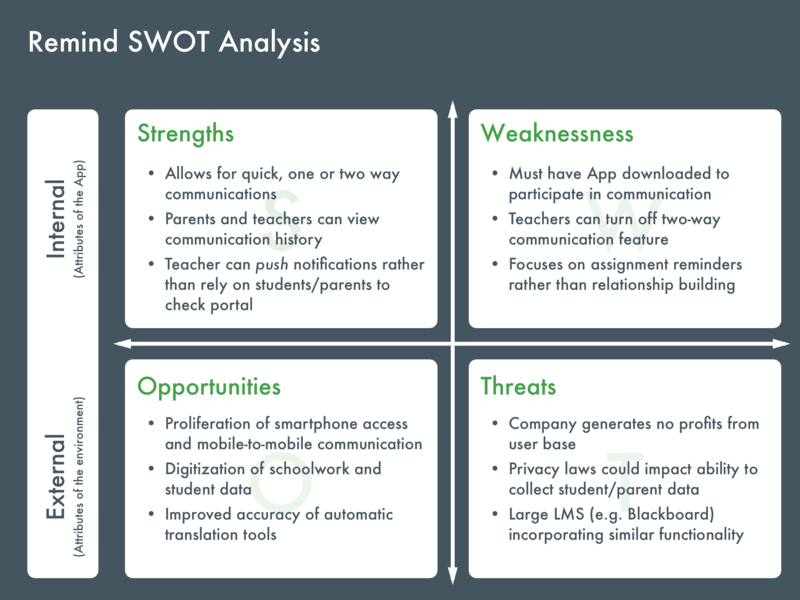 We conducted a SWOT analysis on Remind to help us better understand it's position in the market. By conducting a SWOT analysis on Remind we saw that while the ability to push notifications to parents was a strength of the program, teachers and parents had ‘app overload’ and were reluctant to download another app just to use for communication. There appeared to be an opportunity for a web-based tool that could push notifications to existing email or SMS channels. To gain a deeper understanding of our potential users, we conducted in-depth interviews with five middle school teachers and four parents of middle school students. We learned that both parents and teachers were under serious time constraints. They needed a way to quickly check-in and update each other on student progress. We also found that parents wanted to get involved more, but weren’t sure how best to do so while encouraging independence and decision making skills in their adolescent children. Finally, teachers were often so pressed for time that they tended to only reach out when there was a disciplinary reason. Both teachers and parents wanted to communicate more frequently about positive developments. Think long-term: Scores and GPA focused conversations are less important and ultimately less effective than focusing on more meaningful, long-term personal growth and development. Involvement versus engagement: Some parents are involved but not in the right ways. There’s positive involvement and negative involvement. How do you get parents involved in the right ways? Parents don’t know how to be supportive: Motivated parents are already going to be involved. And they already have access. They need a framework to help them be supportive. Show teachers the benefits to kids: The most effective motivation Leap Innovations has found to encourage teacher participation is showing how the tool benefits the children. Monetary incentives don’t work out well. It wasn’t just any involvement that was important, but the right kind of involvement mattered as well. Not only did we have to find a way to foster communication between parents and teachers, but also help them communicate in ways that had the most positive impact on student achievement. This supported our research that the parental involvement style of academic socialization has the strongest correlation to student achievement. We used different colors for parents, teachers, domain research, and SMEs, which helped us identify shared goals and frustrations. By synthesizing the data we'd collected, we narrowed down our potential user base into two primary personas, one teacher and one parent. We focused on these two personas because they were most strongly supported by our user interviews. 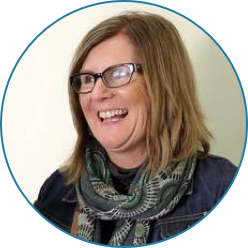 When starting to design potential solutions, we used the goals and frustrations of Julie and Kathleen to guide our decisions. "I want to be involved in my kid's education but it's hard to find the right balance." Goal: Wants to see her children succeed academically, but not be overbearing. Frustration: She's too busy to keep up with all her children's teachers. "It's tricky getting the right balance of parental involvement. But if I have to download one more 'revolutionary' app, I'm not interested." Goal: Wants communication tools that fit into her current workflow. Frustration: Overbearing parents who eat up a lot of her time. Teachers and parents of middle school students need a platform to foster actionable conversations around student problem solving skills in order to build autonomy. Using our personas and design principles as a guide, we started ideating solutions for our identified problem. After a few rounds of sketching and brainstorming exercises, three divergent ideas started to emerge. Each member of our team sketched out detailed flows for their concept. I designed and sketched the flow for the Goal Setting concept below. Teaches middle school students to set and attain SMART (Specific, Measurable, Attainable, Timely) goals with coaching and support from parents and teachers. Quick activities and tips for teachers to send out to parents and students to complete at home to promote student autonomy. 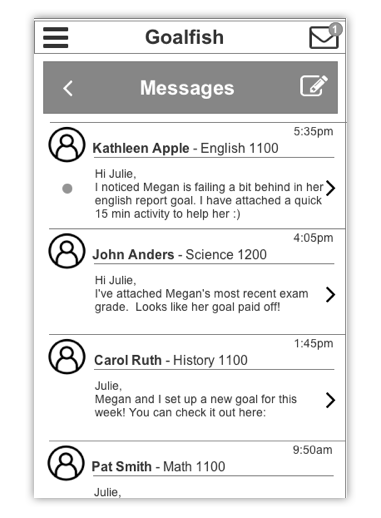 Allows teachers, parents and students to send formatted messages to one another on multiple platforms using push messaging. One key takeaway from concept testing was that parents and teachers really liked the idea of a communication tool that included student goal setting, like that presented in Concept 1. They also loved quick 15 min activities and choosing their preferred mode of communication. But, they wouldn’t use a tool that had communication as its only function as in Concept 3. Both groups would prefer to just use email or text. While we were careful not to mash all three concepts together, we identified the most important features of each and converged into a final design. 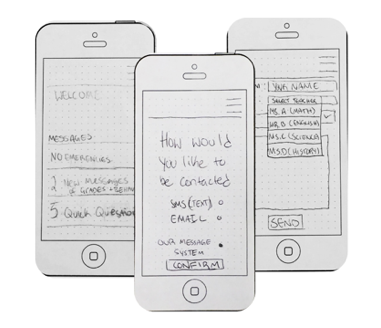 After concept testing, we worked to incorporate feedback into a converged prototype. We called our converged solution Goalfish. 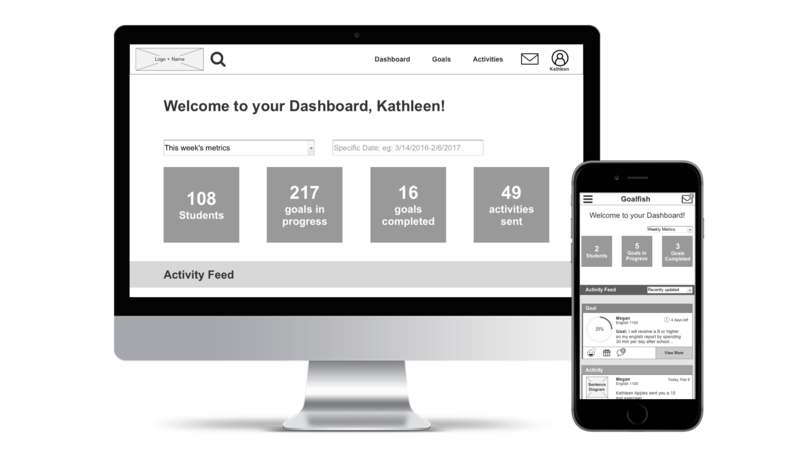 A communication platform that builds a framework of communication for parents and teachers of middle school students around SMART goal setting. The name represented the key goal-setting theme of the tool while maintaining a fun, lighthearted feel for kids. Our team decided to build a responsive web tool as opposed to an app based on overwhelming feedback that neither parents nor teachers wanted to download another app, but instead wanted a tool accessible via mobile and web. Something that fit into their current lives and was easily accessible. 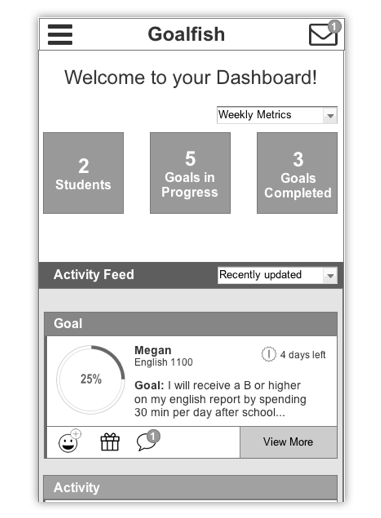 Teachers are able to monitor student's SMART goals and communicate to parents about their children’s goal progress. Teachers can also attach quick, 15-min activities for parents to do with their children to help accomplish their goals when needed. Parents can quickly see the goals their children are working on and easily provide encouragement and incentives. Parents can communicate with their children’s teachers using SMART goals as a conversation framework and receive updates. We tested our prototype with parents and teachers to ensure we met our goal of increasing parental involvement in meaningful ways. We also sought to identify any usability issues. 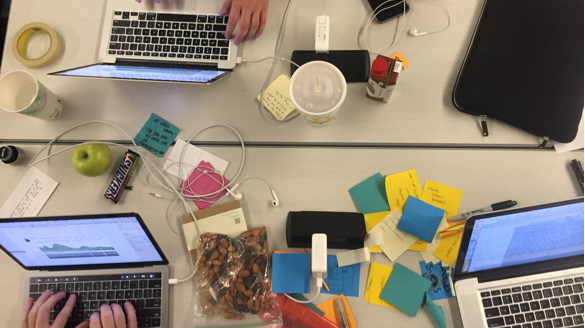 From these usability tests, we were able to identify a few key issues and make a few key iterations for the final prototype. 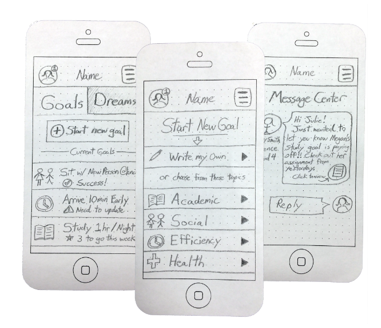 Insight: It was unclear how students are setting their SMART goals. Teachers wanted it to be as hands-off as possible. 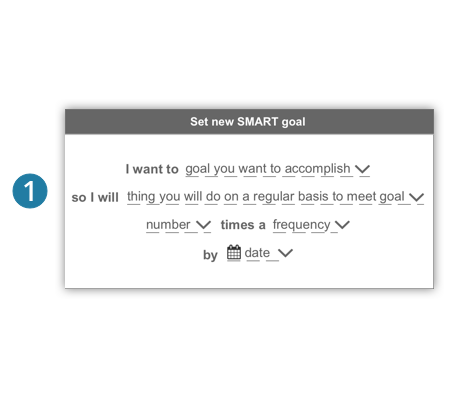 Iteration: Students are led through the process of setting a SMART goal by choosing categories in a natural language format. Insight: Parents and teachers wanted the goals and due dates to be more easily trackable. 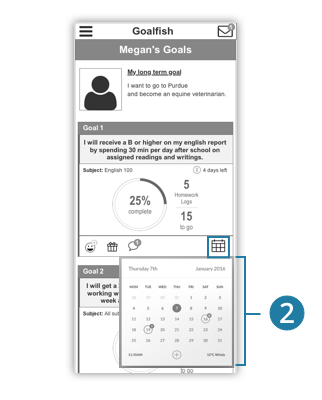 Iteration: Calendar feature that allows both parents and teachers to easily track and monitor goals in a format that meets their mental model. Insight: What to do once an activity was received was unclear for parents. 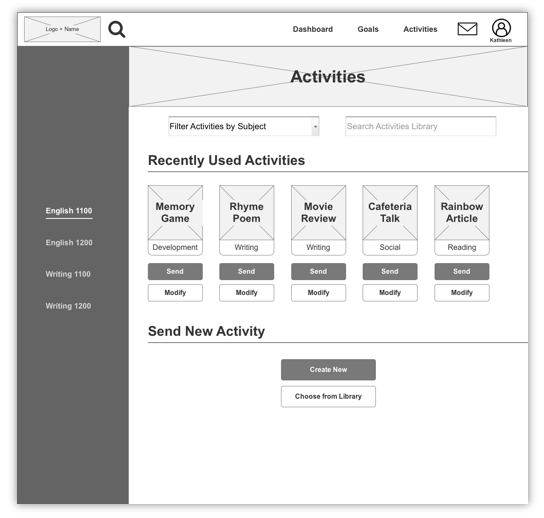 Iteration: Simple instructions leading into every activity, as well as a mark complete button on the footer to help communicate progress to teachers. While there is still a significant amount of testing and iterating to be done, our final prototype received very positive feedback from both parents and teachers after testing. Based on their likelihood of using, on average teachers rated Goalfish a 4.5/5 on a Likert scale and parents rated it a 4/5. We also presented our final designs to a panel of experts who praised our solution. They especially appreciated that our product gave parents and teachers something to talk about and work together on. By the end of four weeks, our team felt we made significant progress in designing a tool that not only would help parents and teachers to communicate, but also provide a framework to encourage meaningful conversations surrounding long-term student success. From our research and user interviews, we understood that teachers were already overburdened with every day tasks. Our team tried to balance ease of use with impact on student academic achievement, however, I think there is still a chance the tool we created requires too much additional time from teachers. This would need to be tested and refined during a pilot program. 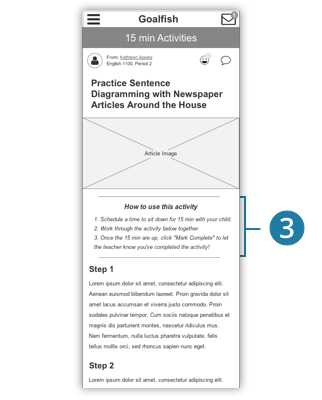 While users were able to complete most tasks without on-boarding during usability testing, we think an on-boarding flow could be especially beneficial to the teacher-facing side of the site. Teachers will have to monitor multiple classes, as well as many conversations with parents. 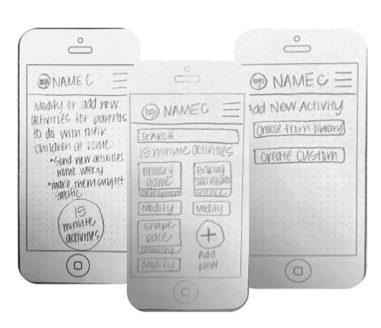 Efficient workflows could be taught through a few curated on-boarding screens. Ultimately, the app is only successful if it helps improve student achievement. Monitoring a few key student achievement metrics during a pilot implementation of the app will be vital for demonstrating success. The results can be used to encourage further adoption if positive, or help future design teams refine and iterate on the concept. This was our first in-person, immersive design project at DESIGNATION after two rounds of virtual projects. The more intensive phase of the program led to some important challenges and lessons that ultimately helped me grow significantly as a designer. In this project, I pushed hard to to incorporate the most effective parental involvement method according to research. While I stand by this decision, it created a much more complex design challenge. One that was difficult to complete in four weeks. I realize now that sometimes it’s better to understand what you can do well enough given a particular timeframe and resources versus shooting for perfection. One of the biggest challenges we had as a team was deciding when to keep researching and when we just needed to choose a path forward. I learned that there’s always going to be more research to be done and potential solutions to uncover, but sometimes it’s only once you pursue an idea that you start to see a path forward...even if that means starting over. We originally built out four detailed personas, but then narrowed down to the two that were most supported by our user interviews. While these personas were helpful in the design process, they were also limiting in a lot of ways. In the end I thought parent’s age and occupation mattered less than their motivations and the task they were trying to accomplish. I’ve since utilized more role or task-based personas in my design process and found them to be far more helpful. The team in the midst of a long work session. Looking back, I am extremely proud of what our team was able to create in such a short amount of time. I learned how to break down a complicated design problem and let research guide our decisions every step of the way. Working so closely with two other designers, I also learned how different perspectives and backgrounds can enrich the design process and lead to better ideas. 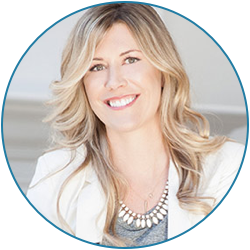 I became more confident in my ability as a designer to approach a new challenge and communicate my design decisions, which helped me significantly in the next phase of the program when I began working with real clients.